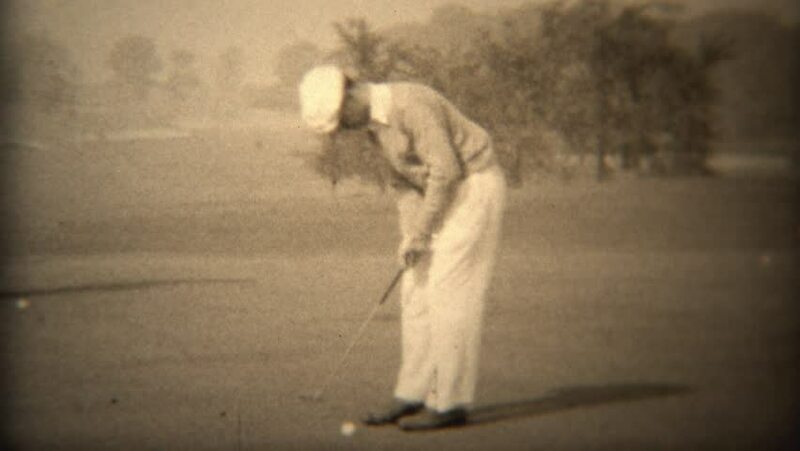 TRYON, NC 1938: Golfer in white outfit putting closeup on country club green. hd00:27Sculptor modelling sculpture adjusting face details head made of clay. Creative concept. 4k00:211930s: Water flows from waterfall. View of Niagara Falls from the American side. Rapids. 4k00:08WASHINGTON 1938: people outside playing football. 4k00:18ILLINOIS 1947: woman in white dress dancing and sitting on a small toy horse. hd00:11A very old tombstone with an angel on it.